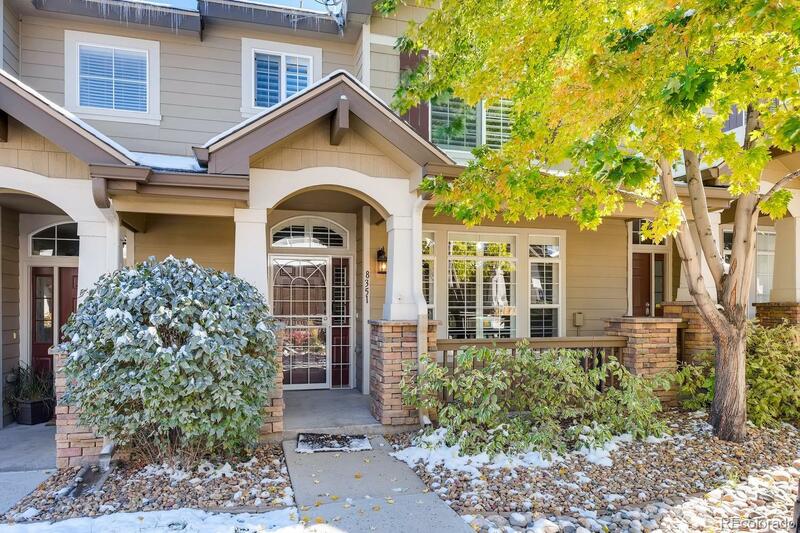 Check out this spacious, open and inviting townhome! Large living room with cozy fireplace and gleaming wood floors, and built in bar area! Plantation shutters throughout! The open kitchen features cherry cabinets and updated appliances. Upstairs you’ll find the large master suite, with a walk in closet and oval soaking tub in the 5-piece bathroom. Hard to find, walk in closet in secondary bedroom too! Convenient upstairs laundry facilities! The 2-car attached garage is finished, and offers plenty of storage. You’ll love relaxing on the lovely covered patio. HOA includes access to recreation center amenities! This unit is truly turn key, super clean – including the carpet and air ducts! All you have to do is move in and call it your own. Don’t miss out – MUST SEE!